Who is Buried Here? - Dr. Robert Sloss Stewart. 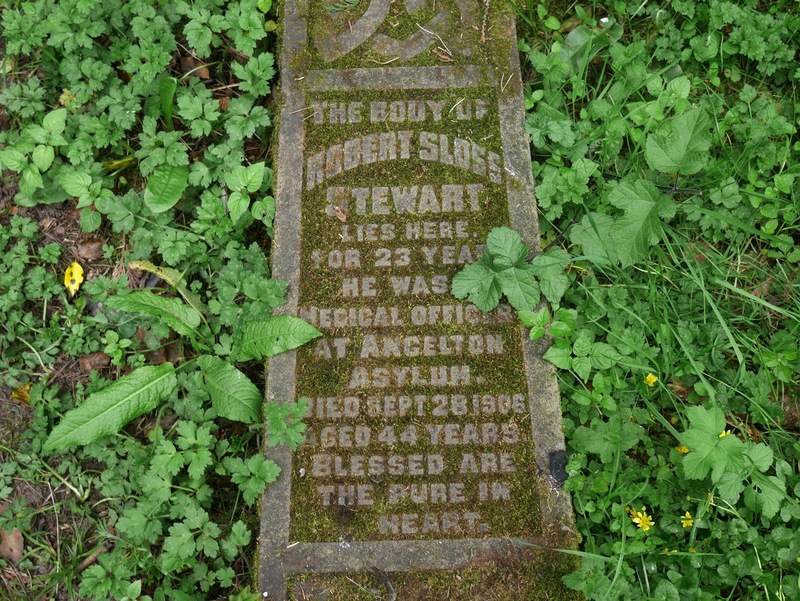 The tipped gravestone of Dr. Robert Sloss Stewart. While researching the stories of the people buried there, I came across an interesting gentleman named Dr. Robert Sloss Stewart. Unfortunately not much is known about Robert's life. What little we know has been drawn from census records, medical journals, and newspaper articles. Robert Sloss Stewart was born to Matthew and Catherine Stewart (nee Ritchie) on 20th of January 1862, in Dalmellington, Scotland. The 1871 Census shows Robert aged 8, living at home with his parents and three siblings. The 1881 Census tells us that Robert was a student of medicine and was lodging with the Peters family in Partick, Scotland. An extract from the Medical Register of 1891. The Medical Register of 1891, gives an interesting insight into Dr. Stewart's profession. It shows that Dr. Stewart was registered as a medical professional on the 9th of May 1883. M.B Master Surgeon - 1883. MD at University Of Glasgow - 1886. Dip. Public Health at University of Cambridge - 1887. Soon after obtaining these qualifications, Dr. Stewart became Resident Assistant at the Glasgow Western Infirmary. During his time at the Infirmary, he worked in the wards of Sir William T Gairdner and Dr. Alexander Patterson.It was during his time at the Infirmary that he turned his attention to the study of psychological medicine. Subsequently, Dr. Stewart gained the position of Assistant Medical Officer at Angelton Asylum. At this time Dr. Stewart was given a wage of £800 per year. This also included amenities: House, Coal, Gas, Laundry, Garden Produce, Groom, Hay and Straw for two horses. The 1891 Census shows Dr. Stewart, aged 29 is listed as living at and working as the First Attendant of Angelton Asylum. By 1901, Dr. Stewart had become Deputy Medical Superintendent of Angelton Asylum. Dr. Stewart was appointed Medical Superintendent imminently on the retirement of Dr. Henry Pringle in February 1904. The Mental and Moral Effects of the South African War (1889 – 1902) on the British People - 1904. 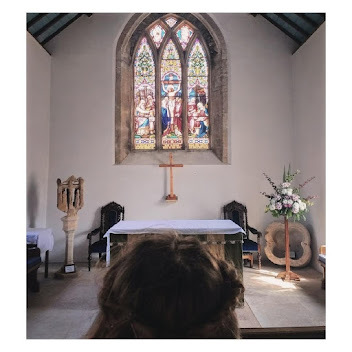 Regularly giving lectures at Cardiff College, he was keenly interested in his fellow man, he made close studies of conditions in the county of Glamorgan and took a keen interest in the connection between social factors and 'lunacy'. Dr. Stewart's paper 'The Mental and Moral Effects of the South African War' "attracted some amount of attention from those interested in social problems, the conclusions at which he arrived being that the impressions produced by the events of the last three months of the year 1899 were such as to induce a very unmistakable change in the national characteristics..."
Dr. Stewart was admitted into the Prince Llewellyn Lodge of the Freemasons at Cardiff in April 1886. In his personal life. Dr. Stewart was a lover of nature, he devoted a lot of his time to the study of field botany. A firm believer in 'Mens sana in corpore sano', during the summer months, he took great pleasure in sleeping outdoors. He was known to enjoy cycling, rowing and frequently refereed for the Angelton Rovers Football Team. On the 1st of August 1905, Dr. Stewart married Helen Greener at Kingshill, Scotland. Also a medical professional, Helen was born in Scotland during 1874. In November 1905, The Glamorgan Gazette reported that Dr. Stewart is suffering from a serious illness, so serious that Sir William Broadbent of London was called to the County Asylum at Angelton. It is reported that Dr. Stewart was suffering from a hemorrhage of the lung. On the 28th of September 1906, Dr. Robert Sloss Steward died at his residence in Angelton Asylum as a result of heart failure. It is thought that this was brought on by the hemorrhage he suffered less than a year before his death. On his death, obituaries appeared in various medical journals including The Lancet, The American Journal of Psychiatry, Glasgow Medical Journal and The British Journal of Psychiatry. "By Dr. Stewart's untimely death, Glamorgan Asylum has lost an able Superintendent and the medical profession a prominent member. Of a retiring, unostentatious, kind, genial disposition, he was universally respected and esteemed and his loss is keenly felt by all who knew him." Dr. Stewart's funeral took place at Angelton Asylum on the 1st of October 1906. It was semi-private and the service was conducted by Rev. David Davies of Canton and Rev. R.J. Jones (Asylum Chaplain). 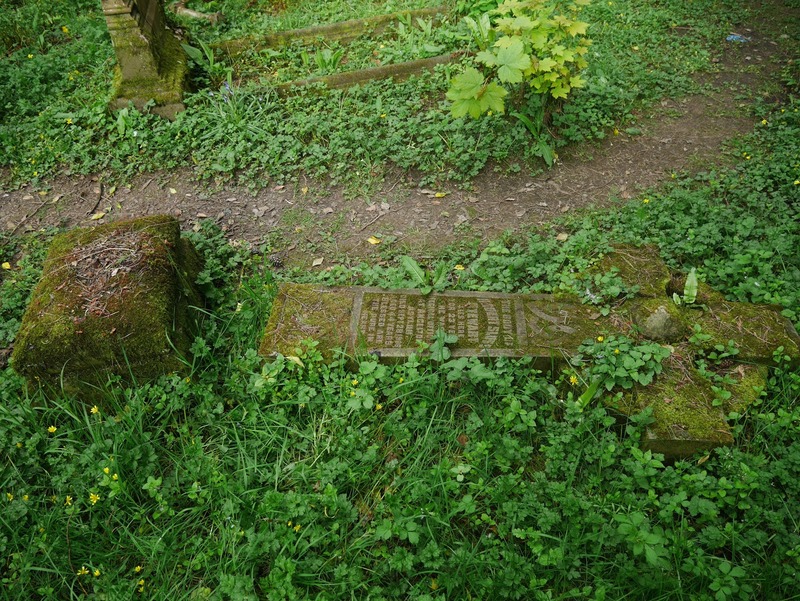 Dr. Stewart was then interred in the cemetery adjoining Angelton Asylum. 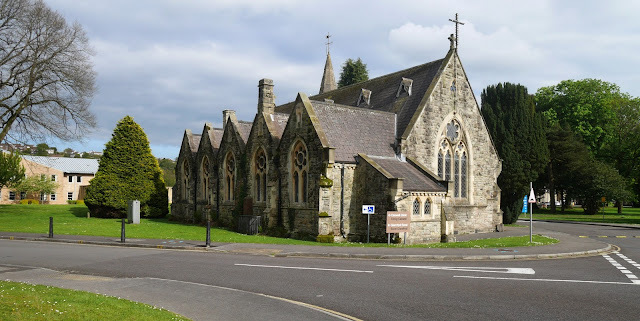 Among those who attended were his widow Mrs. Stewart, Alderman Richard Lewis (Pontypridd) Alderman John Thomas (Tondu) Dr. Finlay, Dr. Paterson, Rev. W.S. Evans and Rev. W. Evanson.